and just when i thought i'd be resting during my stay here in the province...LOL! but i guess, just like the famous line in a commercial (Pringles, to be exact)..
.ONCE YOU POP, YOU CAN'T STOP! for the complete story and more pics, click here. 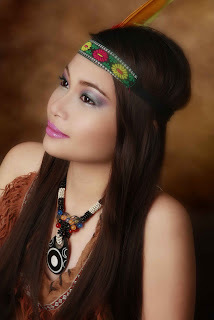 thanks to Richard (photographer), my model Maan and to my co-MUA, Alvina. we'll schedule another shoot soon, okay? and this time, it will be for one whole day so be warned! Oh gosh sis! They are absolutely stunning! Well done! I love them loads! Great work, Jheng! The models look fabulous!